Repairs and protects from damage. Himalaya Herbals Protein Shampoo Repair & Regeneration is perfect for dry or frizzy hair or hair damaged from blow-drying, brushing and chemical treatment. A special blend of herbs provides intensive conditioning from the root to the tip, repairing and regenerating your hair, and protecting it from future damage. 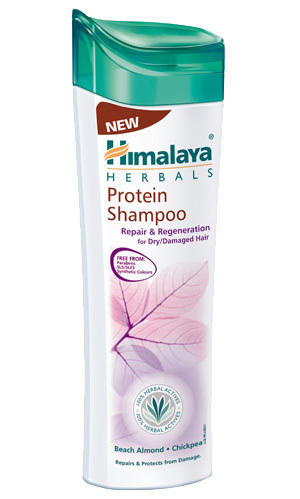 Massage Himalaya Herbals Protein Shampoo Repair & Regeneration gently into wet hair and scalp. Rinse thoroughly. Repeat if necessary.